The Kennel Club (KC) and British Veterinary Association (BVA) are now recording eye examinations which have taken place under the BVA/KC/ISDS Eye Scheme for non-Schedule A Breeds. Schedule A Breeds are those with identified breed-associated inherited eye diseases, for which it is considered that there is enough scientific information to show that the condition is inherited in that breed. To support breeds outside of Schedule A, and the responsible breeders who use the scheme to routinely test their dogs, the Kennel Club and BVA have made the decision to record that a test has taken place, recognising this as a request from a number of breed clubs and owners. Caroline Kisko, Kennel Club Secretary, said: “Recording that an eye examination has taken place for dogs that are not Schedule A breeds will enable other breeders, prospective puppy buyers, or simply those who love the breed, to find out whether or not a particular Kennel Club registered dog has been tested under the BVA/KC/ISDS Eye Scheme. Although any breed can be examined for eye disease, previously only the results of those breeds that appear on Schedule A of the Eye Scheme were sent to the Kennel Club for inclusion on computer records and printing in the Breed Records Supplement. An individual dog’s health test results can be viewed on the Health Test Results Finder on the Kennel Club’s Mate Select online service. For non-Schedule A breeds, the date of the examination will be recorded against the dog’s record and can be viewed via the Health Test Results Finder and details of the examination can be sought directly from the owner. The results for breeds on Schedule A will continue to be recorded in the normal way and the results published in the Breed Record Supplement. For those owners who have previously tested their dogs using the BVA/KC/ISDS Eye Scheme, this can be recorded retrospectively by owner request. This applies to an individual dog’s BVA/KC/ISDS Eye Scheme examinations only, and does not include litter screenings. There is a list available, from either the BVA or the Kennel Club, of appointed eye panellists who can issue certificates under the scheme and owners can make an appointment with one of the panellists directly or through their own veterinary surgeon. For more information on the BVA/KC/ISDS Eye Scheme, and to view the breeds currently listed on Schedule A, please visit www.thekennelclub.org.uk/…/bvakc-healt…/bvakcisds-eye-scheme. The Health Test Results Finder can be found at www.thekennelclub.org.uk/services/public/mateselect/test. BVA/KC/ISDS Eye Scheme • The Kennel Club..
General Info from the KC Website re Eye Schemes including Prices etc. Exciting New Development form the BVA and KC announced August 2015 - Due to many breeders asking for this the KC and BVA are now recording some date on the Eye Exams carried out . 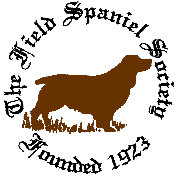 However as the Field Spaniel is under the Schedule B it will only record the date of the examination - but it is surely a step in the right direction to monitor and check health and status of the Field Spaniel - something that is imperative if the breed continues to be a fit and health one . The BVA advice is for yearly exams so now we will be able to monitor this better for prospective puppy owners and breeding programmmes. Multiple gonioscopy results are now viewable via the online health tests results finder & MyKC for individual dogs. As with BVA/KC/ISDS Eye Scheme results, only the most current gonioscopy will be published on the Kennel Club registration certificate. Primary closed angle glaucoma is significantly associated with an abnormality within the eye called goniodysgenesis (gonio = angle, dysgenesis = defective development; goniodysgenesis is therefore defective development of the drainage angle). Goniodysgenesis is inherited in several breeds and is tested for by a technique called gonioscopy. For further information regarding the routine eye examination (BVA/KC/ISDS Eye Scheme) and Gonioscopy test, please refer to the British Veterinary Associations website here.